Baibu is a registered brand focusing on home textiles industry for 15 years.Our product is very popular in international market,such as Japan,North America, West Europe. We strives to provide TOP QUALITY, FASHIONABLE DESIGN, ECO-FRIENDLY, HEALTH products with BEST SERVICE. Our quality control system firmly complies with ISO/CE/SGS. 1.High quality mesh fabric: eco-friendly, non-toxic,health, easy to clean. 2.Made of lightweight high density foam that will not crack or crumble.Deformation Resistant. 3.Super breathable, reduce stuffy feeling, bring you cooling effect. Ergonomically designed for more comfort and relaxation. 4.Multi-purpose: Stool Cover for Bar,Pub, Club,Patio,Garden,Dining,Kitchen etc. 5.Elasticized Edges Allows Easy Fit for your stool. Note: Due to the difference between different monitors, the actual color may deviate a little bit from the shown color on the screen. Thank you ! Size: approx. 12" (Dia.) x1.2"(Thickness) ,Custom-fit Elasticized Edges. Material: Outer--high quality mesh fabric, Inner--high quality sponge,will provide more Comfort & Relaxation. Ergonomic Designs:Super Breathable,Absorb Sweat Fast, Anti Bacterial,Strong Long Lasting,Slip Resistant Back. Easy to clean: Wipe with a damp cloth, Pat gently , or Clean by vacuum. This stool cover can be used to cover your worn out or stained seats on your bar stools at all seasons. It also protect your new stool from Wear and tear. It is made from waterproof PU surface fabric to ensure your comfort and for maximum durability. Just choose different color, adding new fresh to your round seat. Please check the size of the seat on the stool these are going to be used on, before completing your order. Material: Waterproof PU Faux leather. Resistance to wear and tear. Easy care: Wipe with a damp cloth. Package 2 PCS stool cover. Not include stool. Note: 1.Due to difference between different phone screens, the actual colormay deviate a little bit from the shown color on the screen. 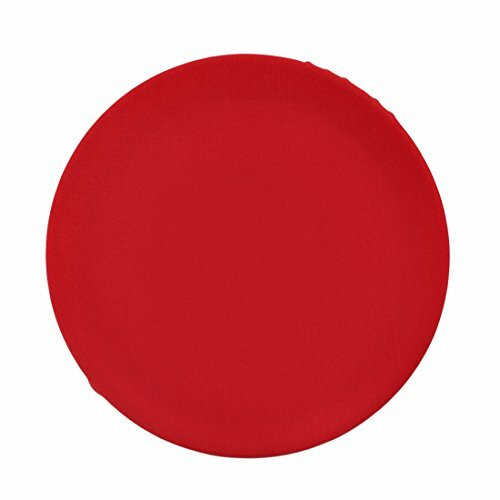 Size: 12" in diameter, suitable for 11.5"-12.5" round stools. No stool included, only stool cushion. Natural and eco friendly fabric. 100% filled with polyester core. Machines washable. Help protect your stools or give your old stool a new looking. The underside skirt is elastic, and it has Full edges covering design. 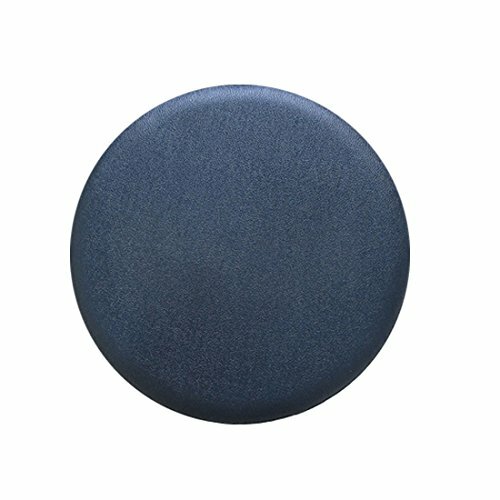 Help relieve hip pressure and decor your room, especially great for hard-stools and metal stools. 1 x Non-Slip Stool Cushion Please note: The cushion is placed in a vacuum sealed package. Usually it will regain its intended shape within 3-5 days after opening the package. Founded in 2003, Shinnwa specializes in home textiles for 14 years. Our products are sold all over the world, including Japan, China, the United States and Europe. Shinnwa is committed to provide consumers with the absolute best price and value on our entire line of products. REMOVABLE AND MACHINE-WASHABLE COVER - The barstool cushion has a removable and machine-washable cover, easy to clean. And the mesh fabric of the cover allows the air to drift,avoiding overheat after sitting for long periods. GRIPPER BACKING & ELASTIC BAND - An slip-resistant backing and elastic band keep the cushion in place on any round stool and fits snugly. 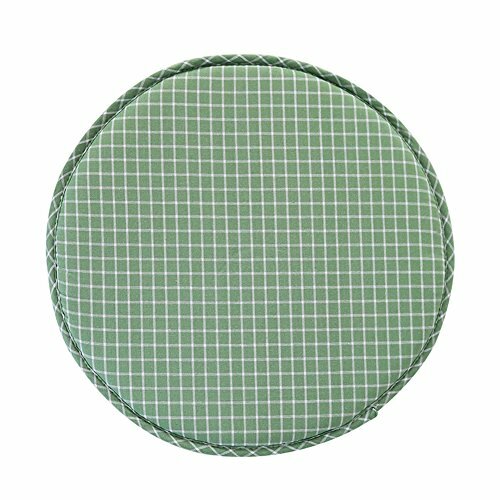 SIZED TO FIT MOST STOOLS - Approx 12 inch diameter and 1.3 inch thick padding, best for 12-13 wooden or metal stools. ECONOMICAL PACKAGING - Using vacuum packaging, save packaging and shipping resources. PLEASE NOTE: Usually it will regain its intended shape within 3-5 days after opening the package. 30 DAYS MONEY BACK GUARANTEE - Shinnwa specializes in home textiles for 14 years. GUARANTEED quality that stands out in other stool cushions. 30 days of refund guarantee if you are not 100% satisfied, no questions asked! Simple design,simple solid color with the simple lines,many colors you can choose. it's comfortable to sit on it. 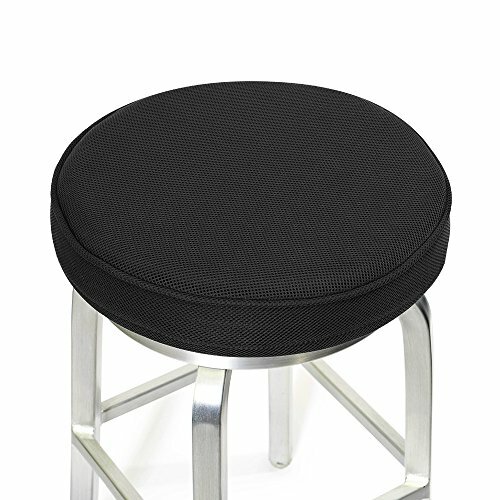 This barstool cover features a non-slip gripper backing to keep barstool in place securely. Easy Care: Hand wash or spot clean. 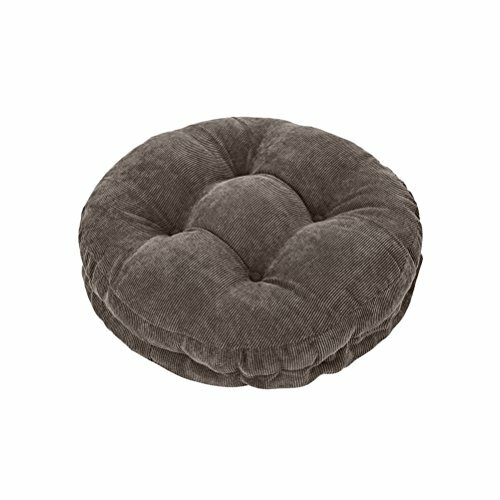 package includs: 2x Round stool cushion. 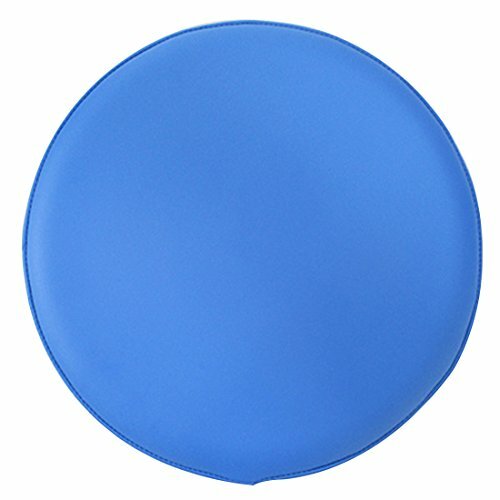 This round stool cover is made of the faux leather with sponge padding of 0.39inch, strong wear-resistant, beautiful and practical, easy to clean. The design of elastic band and non-slip bottom are easy to install, the fashion design gives your chair cover a new look. 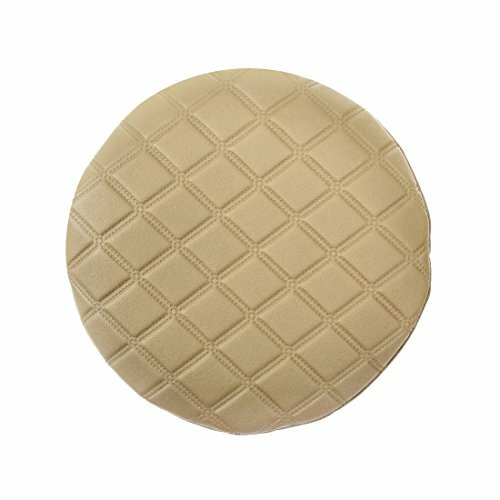 This round stool cushion is applicable to home, restaurants, hotels, bars, etc. A good decor in your daily life! Set of 4 dining seat bar stool covers. Amazing item to protect your bar stool cushion from wear and tear, dirt and stains. Crystal Clear protectors will not interfere with the beauty of your decor and allow your bar stool cushion or pad underneath to be seen. Mixing children and upholstery, or even a house full of guests and your favorite chairs, can be a trying experience. 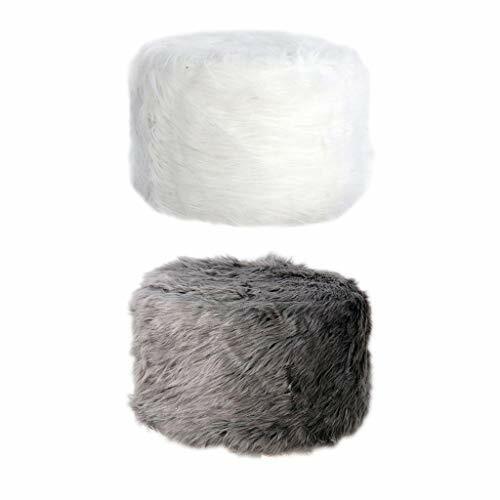 When you cover your favorite bar stool cushion with these seat covers, they'll be protected from spills and dirt. Slips easily over most standard bar stool cushions. Fits similar to a shower cap. Easy care, wipe clean. For best results use a damp sponge or cloth and wipe clean. Do not iron. Made with a 100Percent low phalate vinyl. Includes 4 protectors. Protects bar stool cushion covers from water and stains. Elastic edge. One size fits all. measures 22 inches Round and fits bar stool cushions up to 17.5 inch round by 3 inch height. This item is made by STRETCHY FABRIC ONLY, THERE IS NO FOAM PADDING ! Please make sure you are aware of that before placing the order ! Many thank for your cooperation ! 1.Please be noted that this stool cover doesnot fit a particularly thick round stool, the sample in picture is 5.5cm/2.16inch thickness. Also the faux leather cover does not have any stretch, in order to get the best effect we recommend you to buy 1-2cm larger. 2.Please be noted that the elastic edge is very tight to ensure that the stool cover does not slide during using. Therefore it is might a little difficult during installling. There is installation steps in picture, if you don't know how to install, you can take a reference.  COMFORTABLE -- 0.6cm/0.24 thickness sponge padding, soft and comfortable to sit on, won't feel tired even if long time using. - Stool is not included. 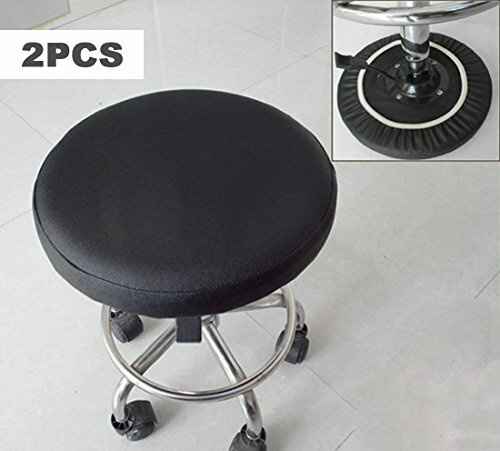 - Fit 35cm/13.78inch diameter footstools with seat thickness in 18cm/7 inch. Fit 35cm/13.78inch diameter footstools with seat thickness in 18cm/7 inch.